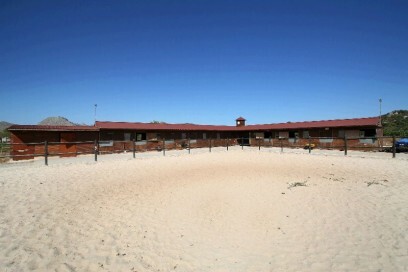 HORSE LOVERS PARADISE! Charming, little country house between Pollensa and Puerto Pollensa . 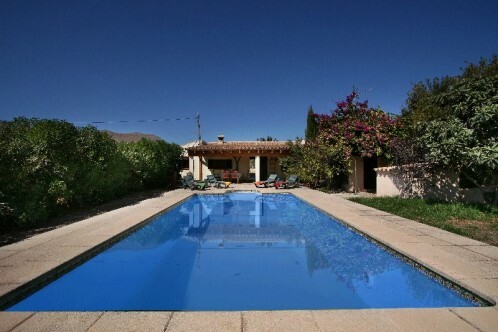 This bungalow property has a private pool and sunny and covered terraces all around the house. Views are of the Tramuntana Mountains and Mallorcan countryside. The house itself has got a sitting_dining area, three beds and two baths (one en suite showerroom) and a kitchen. Outside there is a laundry room and a fourth bedroom_storeroom. The plot (about 20.000m²) is large enough to build a completely new country home of 300m², we have possible plans and a project manager for you in the office!